The following functions are useful for manipulating binary digits. 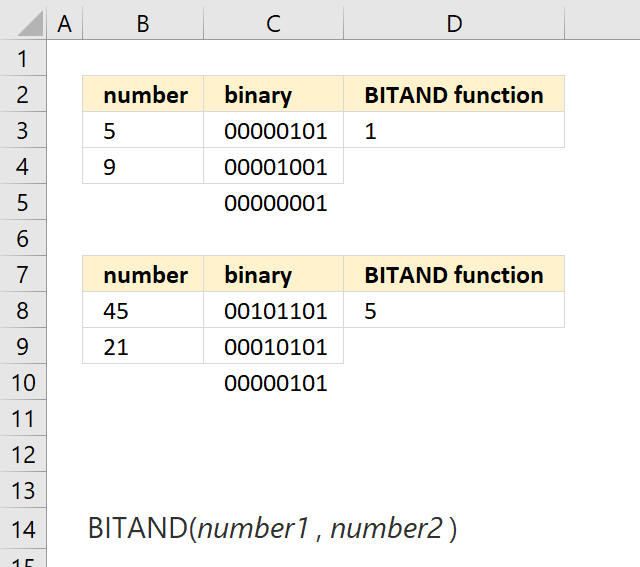 BITAND function Bitwise 'AND' of two binary numbers. 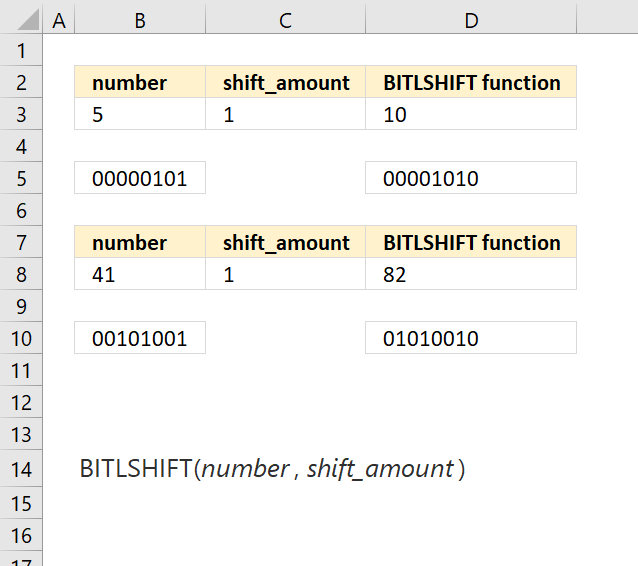 BITLSHIFT function Binary number shifted left based on a given number of bits. BITOR function Bitwise 'OR' of two numbers. 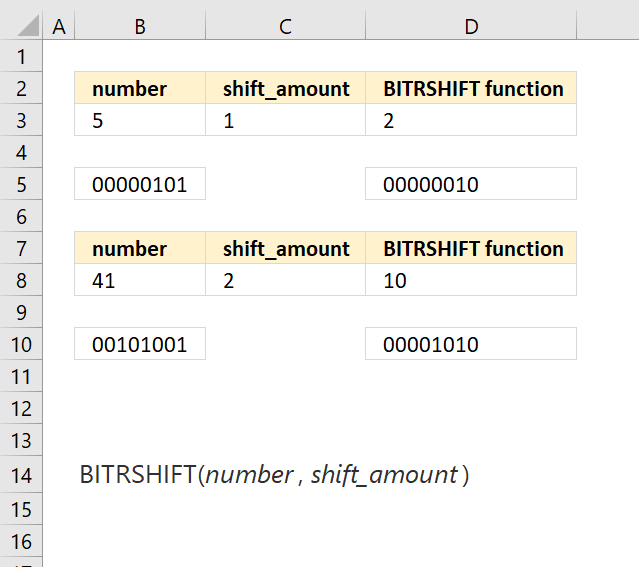 BITRSHIFT function Calculates the number where the binary equivalent is shifted right by a specified number of bits and then converted back to a number. 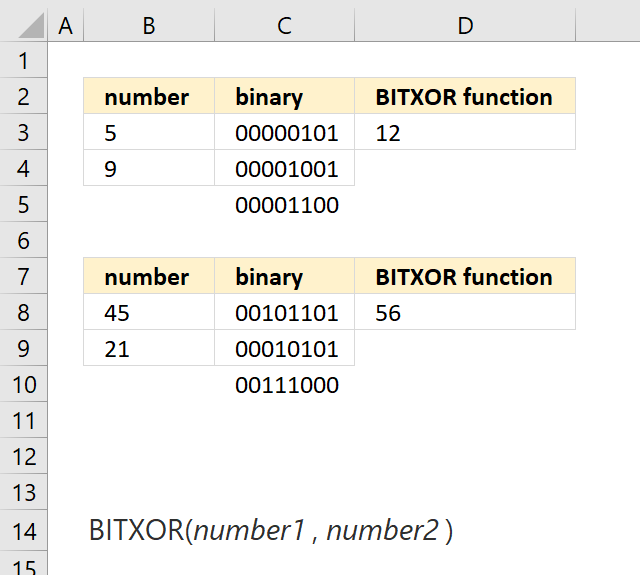 BITXOR function Calculates a decimal number that is a result of a bitwise comparison "XOR" of two numbers. 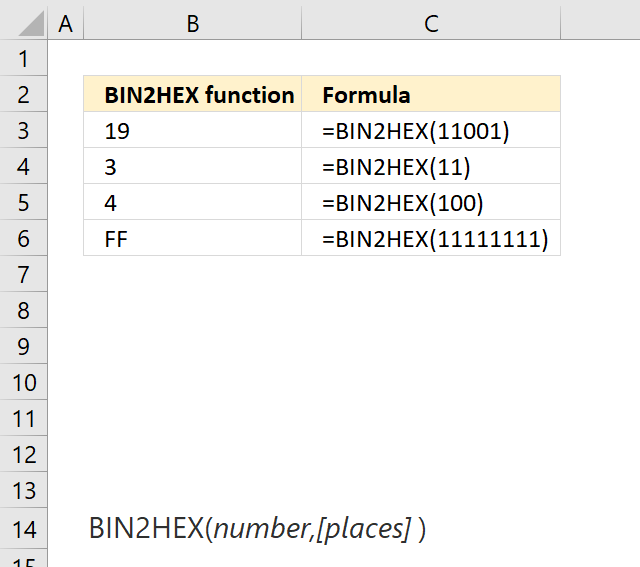 The following functions convert values between different numeral systems. 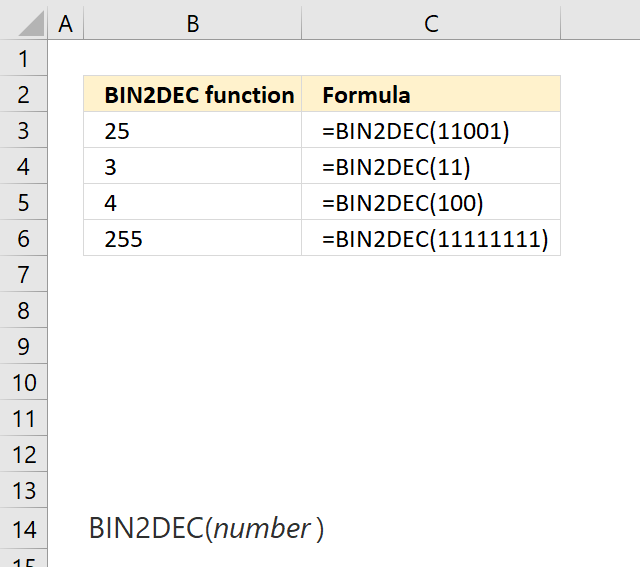 BIN2DEC function Converts a binary number to the decimal number system. BIN2OCT function Converts a binary number to octal. 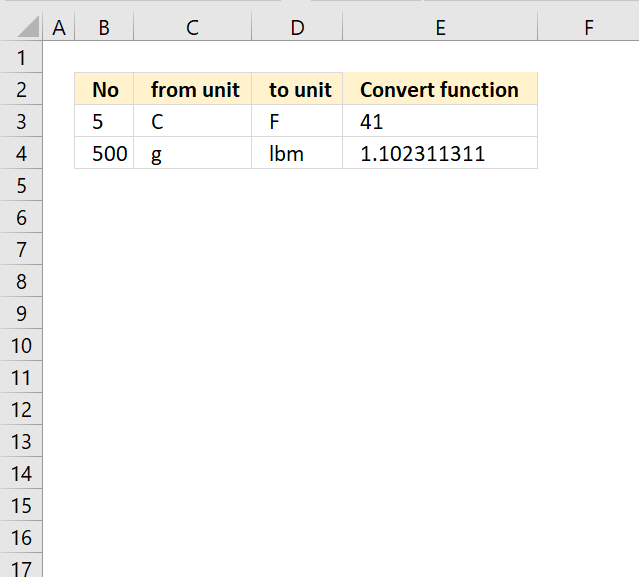 CONVERT function Converts a number from one measurement system to another. 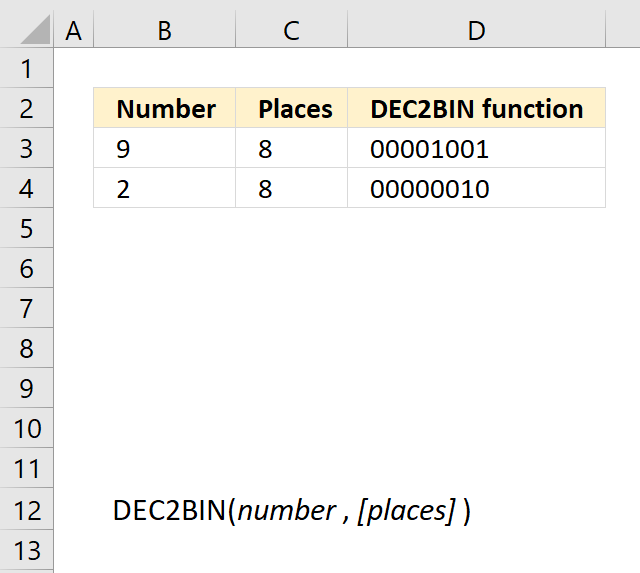 DEC2BIN function Converts a decimal number to a binary number. 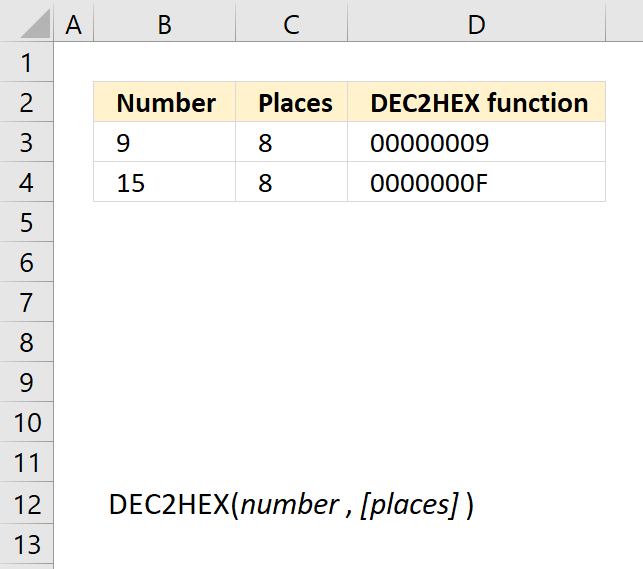 DEC2HEX function Converts a decimal number to a hexadecimal number. 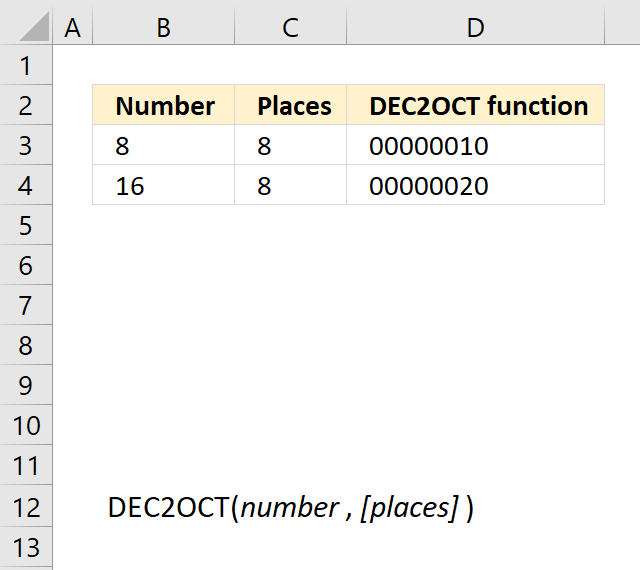 DEC2OCT function Converts a decimal number to an octal number. The following functions are useful for performing calculations to imaginary numbers. 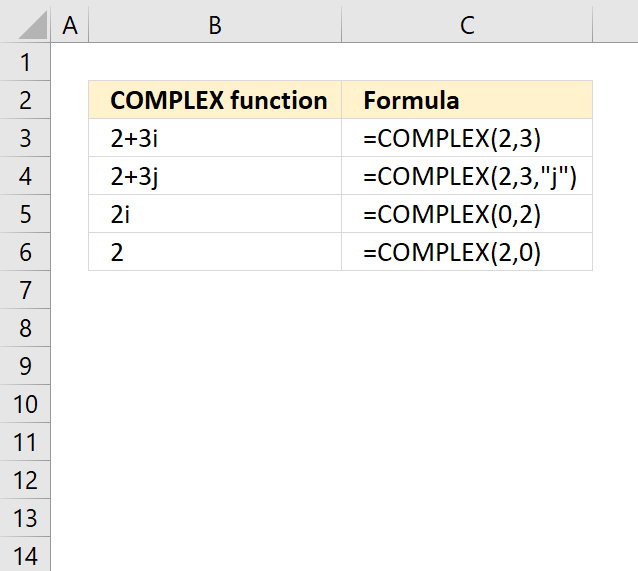 COMPLEX function Returns a complex number based on a real and imaginary number. Miscellaneous functions in category Engineering. 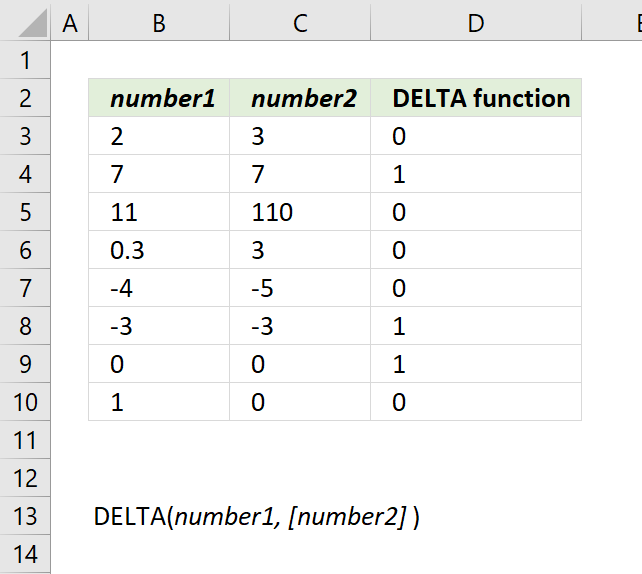 DELTA function Evaluates whether two numerical values are equal.